5 Writing Prompts + Why Christmas Letters Rock! Last week, Joe Queenan wrote not so nice things about Christmas letters in his article(1). To be fair, he was also complaining about companies who send Christmas cards. But, I am a “Positive Pauline.” And, frankly, I love Christmas cards from anyone – and I especially love Christmas letters. 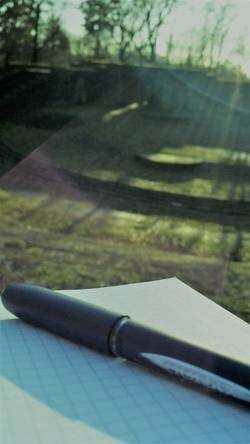 May be I love them because I love writing. And, I write my own Christmas letters. What I most appreciate about Christmas letters is the fact that they are so personal. People share their happy adventures and greatest accomplishments but also things that didn’t go so well. Like, when someone in the family dies. Or, when a family member has a major surgery. Those things are pretty important to know. The real reason Christmas letters are special is because people put a lot of effort and time into writing them. To me, that’s the real gift. Writing takes work – whether it’s a handwritten note, typed Christmas letter, book, program, or report. Whether that work was expended by someone working for a company or a family member writing about their year and wishing you a happy holiday, it’s special. I think what is most special is when businesses take the time to write a personal note to you – or have the staff hand sign the card. My veterinarian does that. And, it makes me smile every time. It’s personal in a world full of impersonal texts, FB messages, and tweets. Someone took the time to think of you and remember you in that special way. Happy Holidays – and Merry Christmas, dear reader. (1) Queenan, J. (2015, December 15). What if companies overshared on their holiday cards. The Wall Street Journal. Retrieve from here. 1. Write a Christmas letter to your family and friends from the perspective of your dog or other pet. 2. Think of all the Christmas cards you’ve received from friends, family, and businesses. What was your favorite one, and why? 3. If you could design your own Christmas card, what would it look like? Would it have snow or Santa on the beach? Be creative. 4. Write your own version of the old Christmas tale, A Christmas Carol. 5. Think of your favorite Christmas or holiday present. Who was it from? Why was it your favorite? Write about the time you received this favorite present.